Empty spaces in your smile, caused by lost teeth, can not only be detrimental to your confidence, but also your oral health. At Smile Smart Dental Center, we place and restore dental implants. Whether you’re missing one tooth or a full arch, we provide implant options that best restore the aesthetic and health of your smile. Our Bradenton dental practice is focused on providing the latest in dental techniques and treatments for patients seeking to enhance the look and health of their smiles. There are three intricate parts of a dental implant that replace the tooth root and the visible tooth as well. Made out of biocompatible titanium, the dental implant post replicates the tooth root, which is essential in providing support for jaw bone density, and preventing facial collapse. 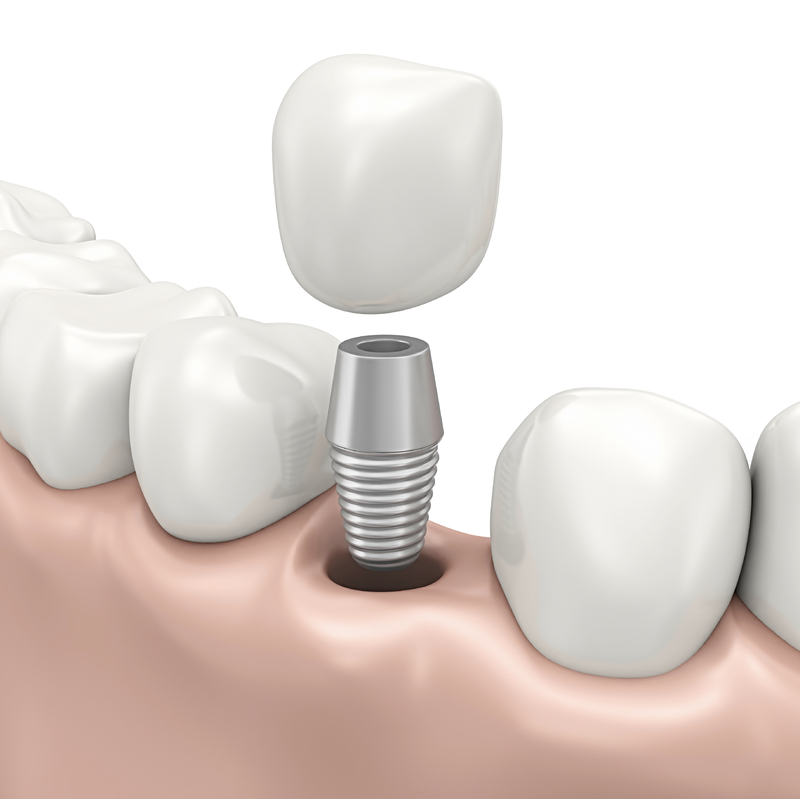 A dental implant restoration, whether that be a crown or bridge, is attached to the post via an abutment. Our dental practice is equipped to place and restore dental implants in office. Dr. Ashley works with you to clearly understand your needs and goals to formulate the best treatment plan for your smile. Recommended for patients with one lost tooth or sporadic tooth loss, implant crowns are utilized to replace the missing tooth entirely. We offer all-porcelain crowns for an aesthetic restoration that matches the sheen and shape of your natural tooth. Traditionally, dental bridges are recommended for patients missing one or more teeth. This treatment option requires the alteration of neighboring healthy teeth to be used as anchors. However,implant-supported bridges replace do not require the placement of crowns on healthy teeth. The implant bridge relies on the support of implant posts for stability. If you are missing a full arch of teeth, and are using a removable denture, implant-supported dentures are great at stabilizing an uncomfortable prosthesis. Eliminating the need for adhesives, implant-supported dentures are anchored in bone, restoring the shape and integrity of your jaw, which traditional dentures cannot do. Contact Smile Smart Dental Center to schedule your next dental implant consultation today. Dr. Ashley works with you to provide the best dental solutions to your oral health concerns. Our Bradenton dental practice is open to all patients in Manatee County, with current patients from Lakewood Ranch.